Recent gun control bids around the United States have met public resistance, but now Secretary of State John Kerry is set to sign a UN treaty that includes promises that violate the second amendment. The agreement would regulate international trade in conventional weapons, including small arms, in a bid to keep such equipment out of the hands of rogue regimes and terrorist groups. One hundred fifty-three nations, including the United States, voted in favor of the treaty during a U.N. vote last April. Article 5 of the treaty requires that each signatory country “establish and maintain a national control system, including a national control list,” raising the specter of a federal gun registry that could track the purchase and use of all firearms and their components. The text also “encourages” nations to “apply the provisions of this Treaty to the broadest range of conventional arms,” causing gun rights advocates to fear that regulators will seek to limit not just assault weapon ownership, but handguns and hunting rifles as well. 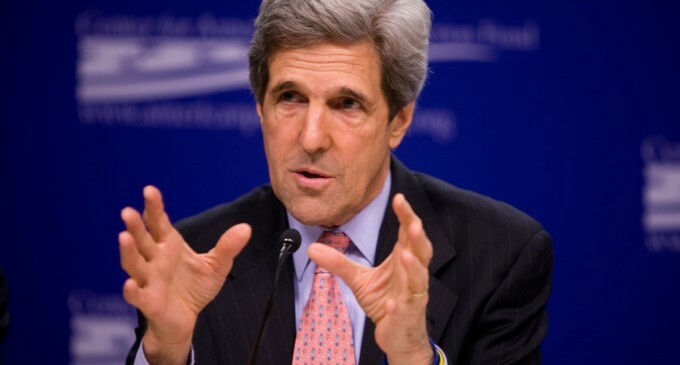 Do you think Kerry’s attempt to do an ‘end run’ around the Constitution will work? Will he be able to sign away the rights of US citizens at the UN and then force the support of the Senate? He’s a traitor who has violated his oath of office on almost every single vote while he was in congress. Now he’s going to commit TREASON.